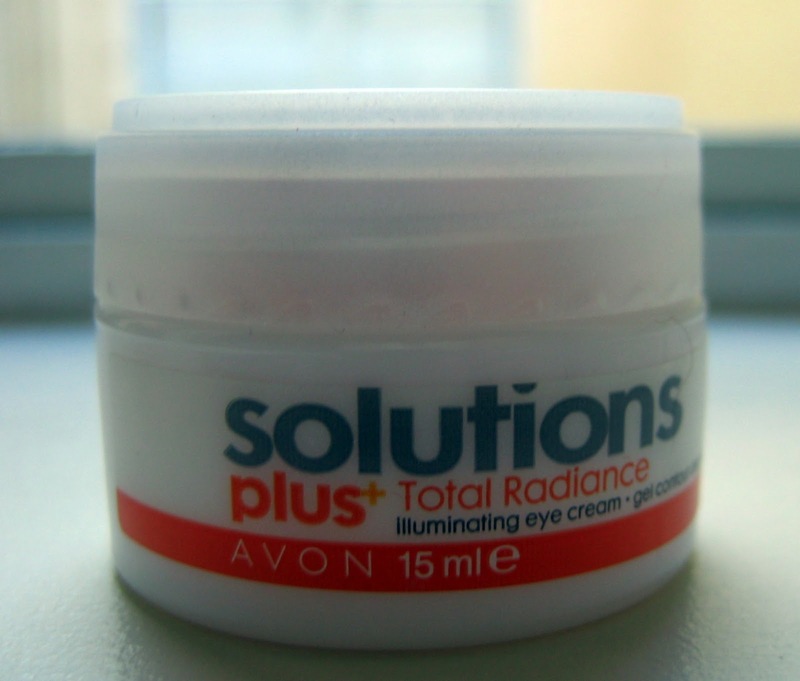 A few weeks ago, I got myself this Avon Solutions Plus Total Radiance Illuminating Eye Cream (Phew! That is a mouthful :P). I am still searching for my perfect eye cream and I decided to give it a go. 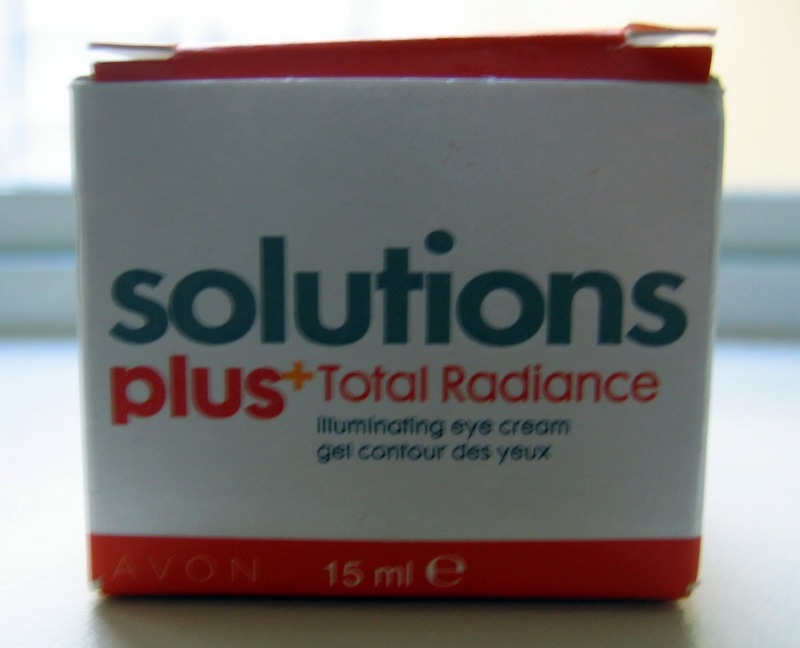 I have sensitive eyes, very dark circles round my eyes and they are puffy too so I need something to illuminate my eyes whilst reducing the puffiness and the dark circles without irritating my eyes. I got this product from eBay for about €4.00. For normal/combination skin. This soothing gel refreshes and revives the eye area. Minimizes the appearance of undereye bags and helps brighten dark circles. Hypoallergenic. Dermatologist-tested. Fragrance-free. 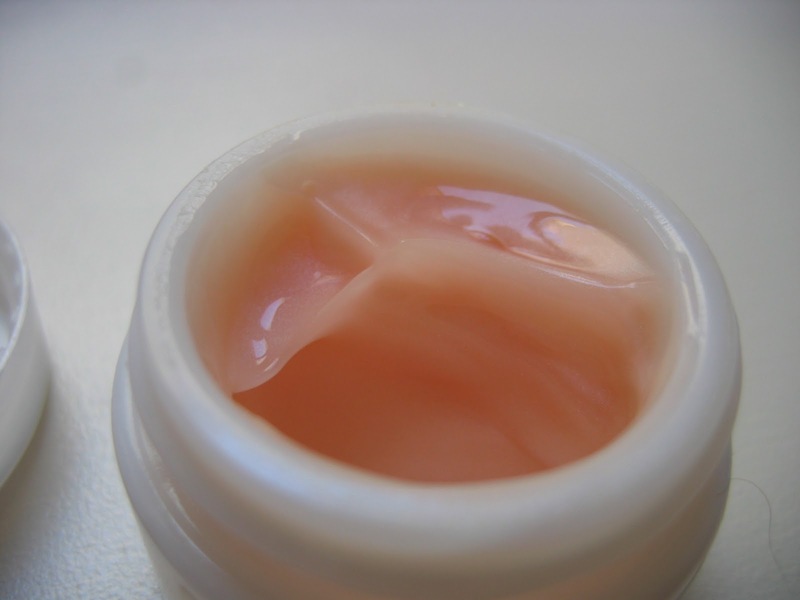 This product has a peachy color to it which does not transfer to the lid at all. It has tiny particles in it which can better see in real life that I think are for brightening the eye area. I like the effect this product has on the lid but I’m not sure this is my favorite eye cream yet, still looking. This product retails for $12.00 on the Avon website (I got it for a good bargain), and it contains 15ml/0.5fl oz. It has a light scent to it but it is not overwhelming and not irritating at all. I use it day and night and apply it gently all over the lid and then pat it under the eye to reduce the puffiness. It applies really easily and absorbs instantly into the skin. It works well as a base under makeup and does not get greasy and I can tell since I have oily lids. Do you like Avon products? Which is your favorite eye cream? You probably already know this lol but their blushes are to-die-for. My mum is using their hand cream and for less than 4 euros she says it's brilliant! I got it on sale too, can't wait to use up my current one and try it! I am fortunate enough to have an Avon Lady at work so I get a discount on things I buy! Ooh I want to give this a try! My favorite eye creams are Bobbi Brown Extra Eye Repair and Darphin Anti-Fatigue Smoothing Eye Gel. I love them both so much! My grandma sells Avon! I love their nail polishes, the quality is very good! Also all of their Foot Works products are fabulous for showing your tootsies some lovin'! Haha! Now I must try their blushes! Love your blog. Now following. So much inspiration and tips. @Gaby: I hope you enjoy it too! @Straight Up Glam: Thanks for the suggestions! I really want to try their blushes too!